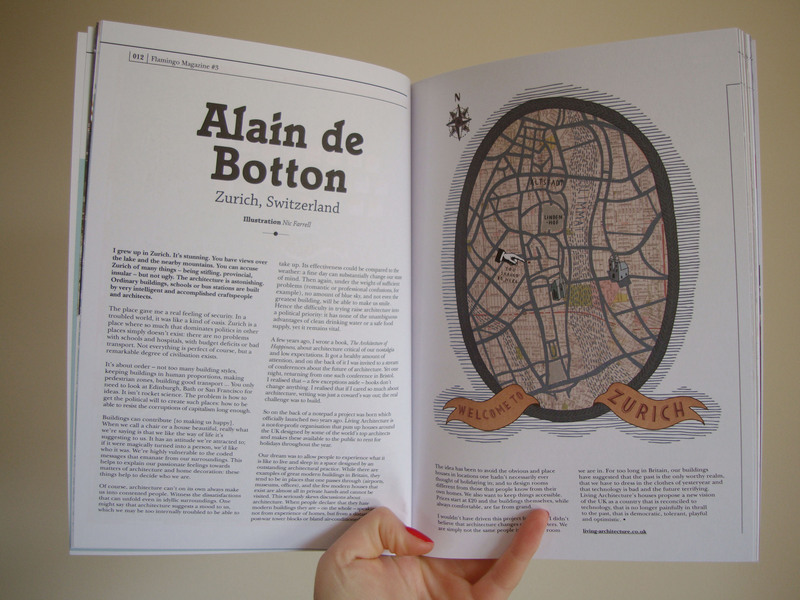 A while ago I mentioned I was working on something involving Zurich, maps, Alain de Botton, and other things … well, this is it. 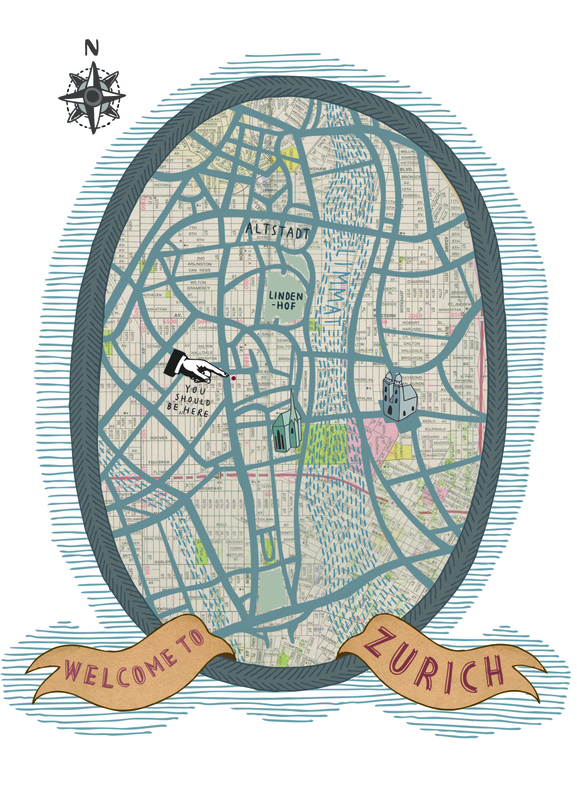 Flamingo magazine very kindly asked me to create an image based around Zurich’s streets and architecture to accompany an article by de Botton in their recent ‘Homes & Habitats’ issue. 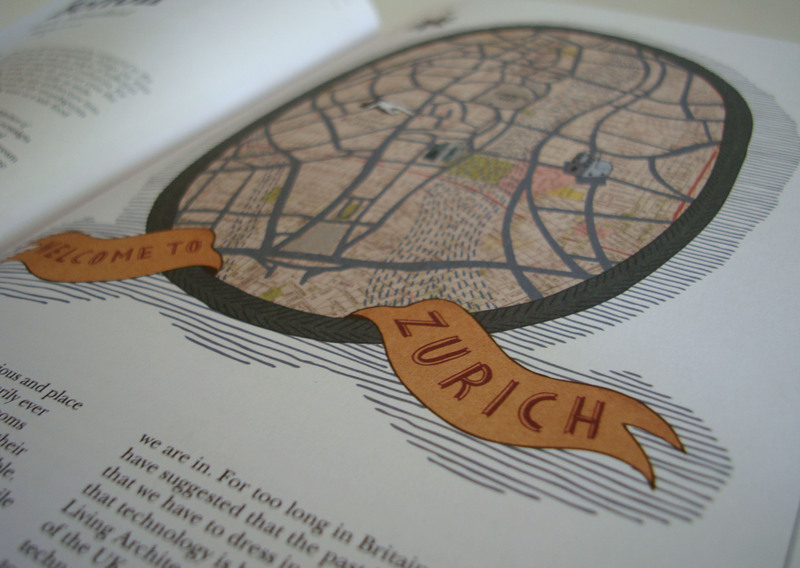 I used the styling of 1951’s Festival of Britain maps as reference, as well as artists who use maps in their work, and of course worked in some fluid lines and hand lettering.